My first couple of weeks in Madrid have been a whirlwind: moving into a 16 person flat, starting my teaching job, winding up lost in the Spanish streets. I won’t ramble on, but feel free to read more about my first week here. Shameless plug aside, I’ve finally found some time to wrap-up the books I read in September. I’ve barely had a moment to read properly since being here, merely having read a few pages during the short metro rides to work, so October’s wrap-up is looking to be a short one. I’m also missing my beloved paperbacks; the Kindle app hasn’t quite won me over just yet. Nonetheless, although I’m a week late posting this, I discovered a couple of favourites last month which were too good not to share. So without further ado, here are the books I disliked, loved and adored last month. Just a couple of chapters in, I knew this book would become one of my all-time favourites. Station Eleven is a post-apocalyptic novel with events taking place before, during and after the pandemic of the Georgian flu. The human race collapses and takes everything we have come to know with it. Phones, air travel, medicine, spacecraft, the Internet, everything. This is a character-driven novel which tells stories from multiple perspectives and I was left amazed at how all the characters have connected roots, Hollywood actor Arthur Leander being the thread which ties them all together. Mandel faultlessly weaves the timelines together leaving me captivated and intrigued by the blossoming relationships, dilemmas faced, and back-stories of characters. No matter how much I wanted to discover what happened to Station Eleven’s poignant characters, I didn’t want it to end. Everyone needs to read this!! I really wanted to love this book, especially after declaring The Hobbit as one of my all-time-favourites just a couple of months ago. However, I found this book incredibly dull. Does that renounce my love for the genre? Not at all. I just set my expectations way too high and ended up disappointed and, well, bored. I found Tolkien’s descriptions so lengthy that I found myself skimming over them. The plot unfolded at a snail’s pace to the point where the action (what little there was) felt underwhelming. There must have been fifty-seven descriptions of the group taking breaks, eating some food, falling asleep before setting off and doing it all over again. Yeah, I lost interest. There’s no disregarding that Tolkien is an incredible linguist, having created a vivid landscape, developed the Elvish tongue, and created a whole history for this world and has gone on to inspire hundreds of writers. His writing style just isn’t for everyone. I’m sorry! 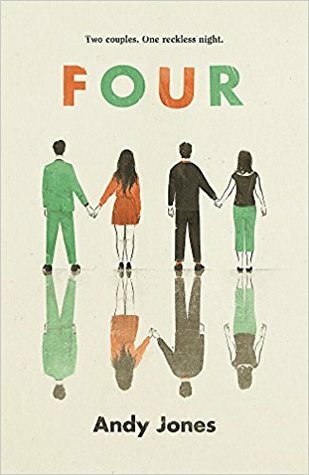 Okay so I have a full book review for this one in the works so I won’t reveal too much, but if you’re craving a scandalous novel full of drama and deceit to sink your teeth into, Four will not disappoint. After a night which will inevitably have life-long repercussions, this is a novel full of flawed characters, bad decisions, and modern-day relationship scandals. I really enjoyed this one! Keep your eyes open for the full review coming soon. Annnd two books later we have yet another new favourite. Never have I ever read anything so unique and enthralling. Illuminae is an action-packed story about corruption and a deadly virus outbreak all taking place in space over 500 years from now. What’s more, it’s told entirely through data files; audio recordings, chat logs, surveillance footage. It shouldn’t work, but it did. The characters and the plot by no means suffered due to this unconventional format and the one-worded pages meant I flicked through the pages as quick as the fast-paced action which unfolded before my eyes. The characters, the AI system, the refreshing format, why it took me so long to begin this series I have no idea. I swallowed this book whole and I can’t wait to dive into the next one in the series! This is a story of a boy growing up in a graveyard which is woven into an adventure of magic, mystery and danger. A bildungsroman novel at its core, we witness young Bod grow up, overcome problems and eventually leave his adopted ghost family. I love how a few years pass between chapters which all feature equally exhilarating adventures, with Bod confronting different problems as he grows up. The only thing that I wasn’t sold on was the whole Jack having a burning need to kill Bod’s family thing. I’m still left with questions just as to WHY he wanted to kill them. Nonetheless, Gaiman’s witty prose and whimsy narration kept me turning the pages. I loved this story and I can’t wait to read more by him! As with ‘Four’, a full review will be up on the blog soon for this sci-fi fantasy novel. A captivating story of love, loss, friendship and repression, we follow our heroine, Amani, on a journey as she grows to become fierce in her desire to save others and protect her indigenous culture and traditions. 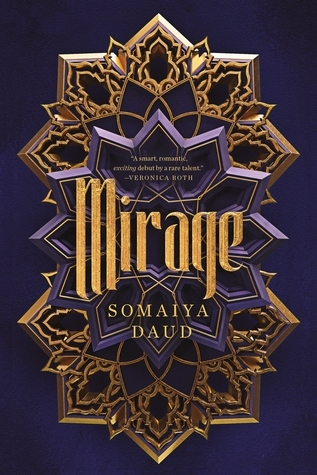 I paced through Daud’s seamless writing and although it’s not action-packed, readers of romantic, tense and slow-burning fantasy will be enthralled. I look forward to reading more in the series! Have you read any of these books? What was your favourite read in September? I haven’t read any of these but I’ll definitely be adding some to my TBR. Station Eleven looks right up my alley, love a bit of dystopia! I read the Illuminae Files earlier this year and it became a favorite series of mine. Still bummed that you didn’t enjoy The Fellowship of the Ring haha! Wow, Station Eleven sounds right up my street, I’m adding that to my TBR!! Thank you for your thoughts and recommendations, Evie! I haven’t read any of these books but I’m definitely going to look into a couple of them now that I’ve read your opinions. I’m planning a ‘Books I’ve Read Recently’-style post soon, so I’ll share it with you when it’s live to get your opinions and see if you’ve read any of them too! Station Eleven sounds like a book that I would read in a day! I’m definitely going to pick it up! I feel exactly the same way about Tolkien’s books! The Hobbit was so good but The Lord of the Rings books were just too dense for me. I’m glad you loved Illuminae! It’s such a hyped book but it totally deserves all the praise it gets. I thought it was just brilliant. Oooh Illuminae sounds amazing, I’m defintiely going to check that one out! I love this round up and defintiely needed some book inspiration. I feel the same about paperbacks too, I’ve downloaded some books to mine phone and it’s just nowhere near the same!